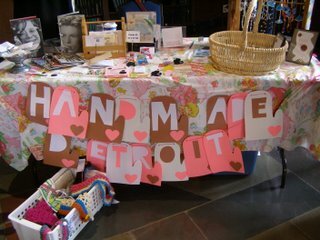 Handmade Detroit was ALL OVER, well um, Detroit and the greater Washtenaw County area this weekend. Here’s the first taste of all the fun we had. 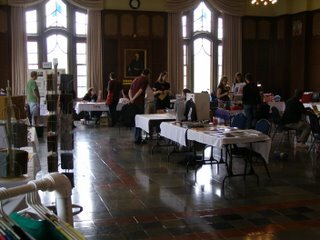 For your viewing pleasure, I present: WolverZine Fest, UofM, Saturday. Enjoy. For more shots of this great event (specifically Stephanie eating an apple), make sure to check out our WolverZine set on Flickr. More photos on the way… Summer Smash style! Hey! I believe I see myself, very small in the distance. I brought my camera and forgot to take any pictures. Thanks so much! We’re glad that mitten pin went to such a good home!